When newly minted champion Nico Rosberg vacated Formula One at the end of his title-winning 2016 season he handed Valtteri Bottas the second-biggest prize of the season — a seat at dominant constructors champion Mercedes. 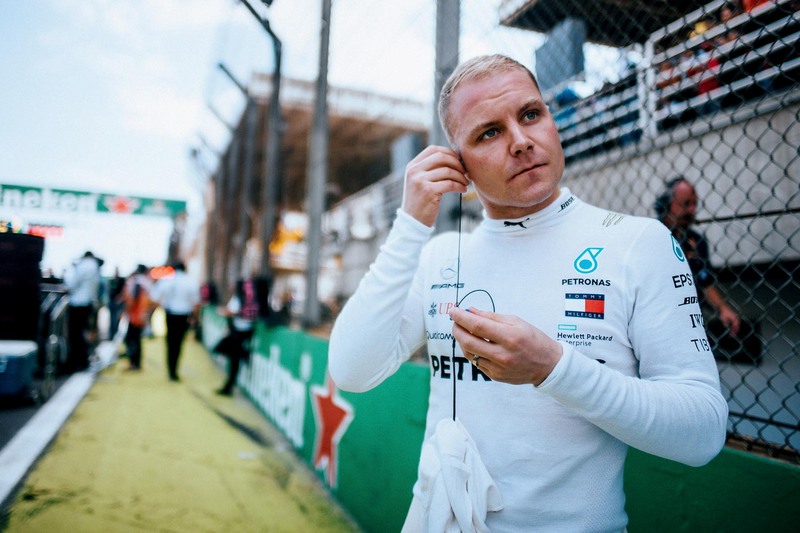 Rosberg’s departure had caught the Silver Arrows off-guard, and the scrambling to recruit Bottas from Williams rather than promote Mercedes-contracted Pascal Wehrlein, who was then at Sauber, was testament to the lack of experience among the constructor’s junior ranks. It was an unlikely reprieve for Bottas, whose highly rated career was at serious risk of stalling in the midfield thanks to the conservatism among the top teams. The Finn now had the chance to prove his mettle at the head of the grid, where teammate Lewis Hamilton would act as an unwavering bar of his ultimate potential. His first season went as well as could’ve been expected. He scored three victories to finish third in the drivers standings, 58 points behind Hamilton despite an additional DNF. More importantly, he finished 100 points ahead of Ferrari’s Kimi Raikkonen, thereby playing a decisive role in winning Mercedes the constructors championship. He was rewarded with a second season for his efforts, and his 2018 campaign started strongly. Indeed Bottas could have — perhaps should have — won three of the opening four grands prix were in not for strategy, a poorly timed safety car and freak debris damage depriving him of victory in Bahrain, China and Azerbaijan respectively. Had luck been with the Finn, he would’ve led the drivers standings by the time the sport arrived in Europe. For a driver sensitive to confidence, where he could’ve taken his campaign from there is anyone’s guess. Without momentum, however, Bottas has struggled, slumping in the middle part of the season as he did in 2017. Hamilton has had his measure in 16 of the 20 races so far, and worse is that he trails third-placed Raikkonen by 14 points heading into this weekend’s Abu Dhabi Grand Prix, a gap unlikely to be bridged. Team boss Toto Wolff has credited Valtteri with making significant improvement this season, but that faith has translated into only a one-year contract extension in 2019, with a second-year option resting with Mercedes. It contrasted with the Finn’s desire for a deal that was for “at least” two years, as per an interview with Autosport. But Bottas’s inability to totally convince Mercedes management is only part of his problem; the real reason for his current lack of job security is the very reason he was so suddenly elevated to the team in the first place: succession planning. In a dramatic turnaround from the nature of Mercedes’ development roster at the end of 2016, the Silver Arrows now boasts two highly rated young drivers in Esteban Ocon and George Russell, and even after releasing 2015 DTM champion Pascal Wehrlein, it has more drivers than it can manage. Mercedes’s struggles placing both in F1 seats have been well chronicled. Russell, this year’s dominant Formula Two champion, has signed with backmarker Williams for next season, and though Ocon, whose lack of options is largely derived from anti-Mercedes politicking in the paddock, is still a chance for the seat alongside the Briton, such a long-shot deal would present two problems. The first is that it would be a significant step backwards for Ocon, who, if anything, is ready for a step forward in his career. The second is that pairing its two highly regarded junior drivers will necessarily leave one of them worse off, potentially devaluing one of Mercedes’s investments. And Mercedes is so certain of its investment in Ocon’s potential that Wolff has said he will “not in a million years” release him from his junior contract to make his own destiny elsewhere in F1 — but if the team is so sure of his abilities, it has little choice but to fulfil his development end game. To put up or shut up. “We are prepared for plan B with Esteban,” Wolff said, alluding to what will likely be a third-driver development role with the works Mercedes team in 2019. A Mercedes drive in 2020 is the only logical conclusion to Mercedes’s junior driver conundrum, ensuring money spent on Ocon isn’t wasted and allowing Russell to develop undisturbed at Williams in the longer term. Some would claim it’s too soon to promote Ocon, but Mercedes need only look to the next garage, where Charles Leclerc will take his place in a 2019 Ferrari in just his sophomore F1 season, as an example of empowering the next generation of drivers to forge forward with their development. Is it harsh on Bottas? Perhaps, especially given the Finn continues to improve and has played a role in sustaining Mercedes’s harmonious championship-winning environment. But there can be an expectation of only so much time at an ambitious team like Mercedes, and with Ocon likely to be literally waiting in the wings for his seat from next season, it’s difficult not to believe Bottas’s days at the front of the F1 field are numbered.